The main circus hall of Arc En Cirque resembles the hull of a boat turned upside down – it’s ceiling curved, with wood and steel panels arcing overhead. One Sunday morning in April, I entered this room with 25 other perspective students to audition for their preparatory program, the second group to audition that weekend. Lo and behold, I was accepted by email a few days after. This, however, is not an article about how to get in to circus school. I could write a listicle with hot tips, telling you what to wear and what kind of number to prepare. Those articles already exist and there is truth therein – go and read them. But as someone who spent three years trying to get into school in four different countries, let me share the advice given to me by the current director of my school: There really is no good way to prepare perfectly to be accepted by any given school. If you form yourself specifically to what one school wants, you close yourself off to others that might look for completely different qualities in a student. Instead, focus on practicing skills that make you well rounded and better at what you do in general. Giving yourself a strong foundation shows a school you’re ready to learn more. Great. Now that that’s out of the way, I’d like to tell you about my circus school. 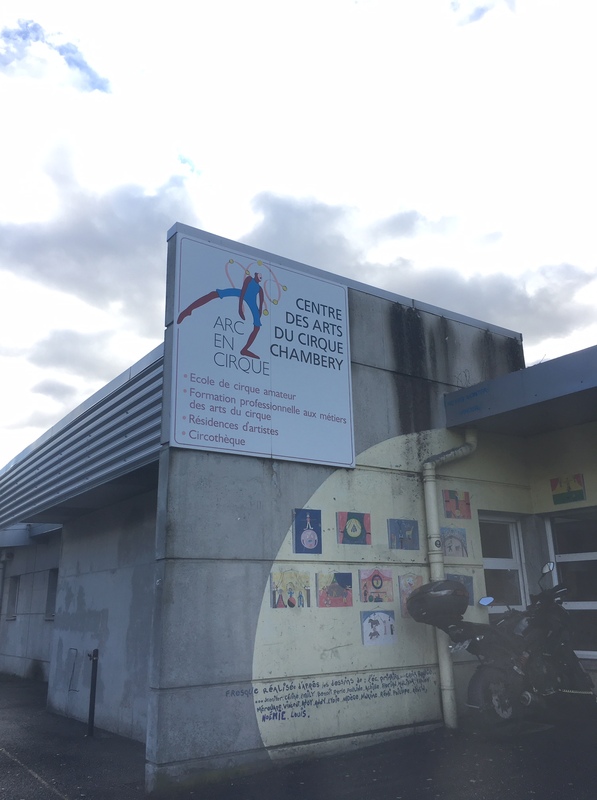 During the talk back at the end of that audition day, one of the school’s directors explained a little about how circus school works in France. 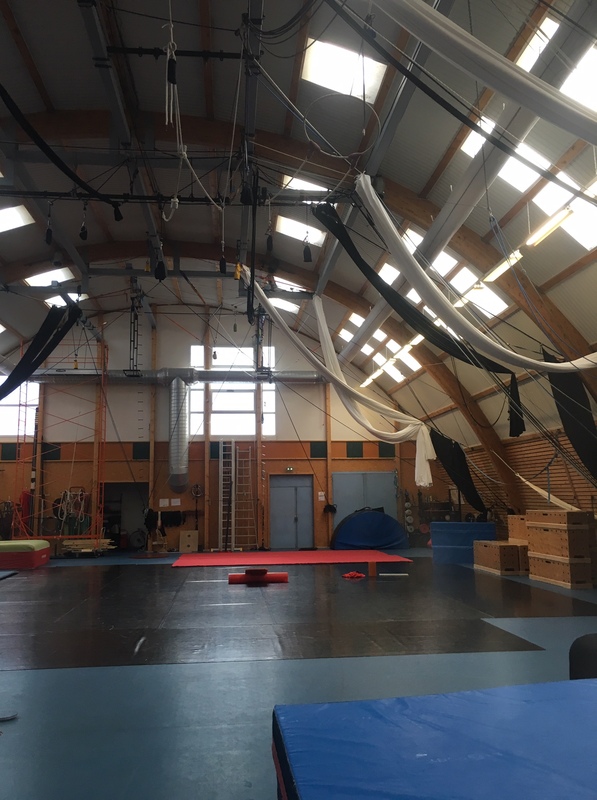 In the US, most circus schools have similar goals – either to put the student on a track to work or to prepare the student for a second program inside the school. In Europe, however, a large distinction is made between preparatory (like mine), artistic, and “upper,” meaning university, programs. 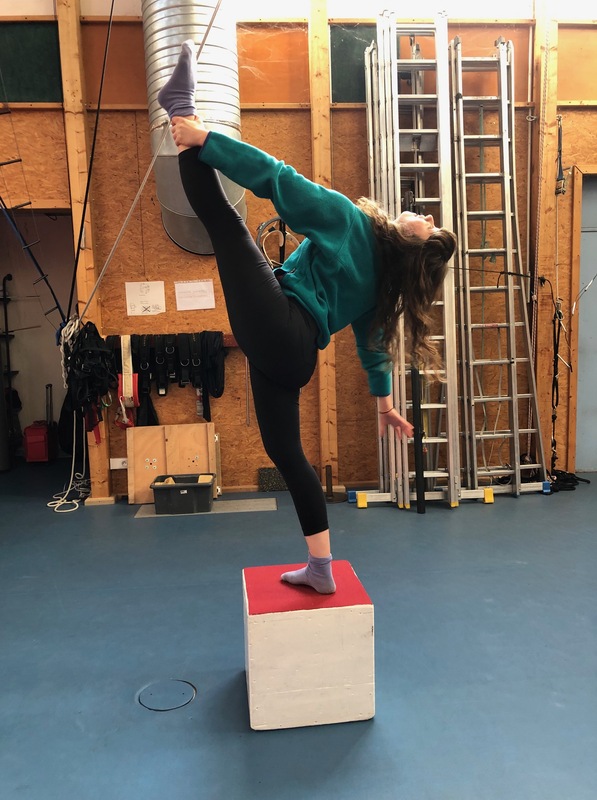 Prep programs focus on developing a student’s technical base in acrobatics, their circus specialty, movement and physical preparation in anticipation of entering another program after. These are markedly different from artistic programs and upper schools where the aim is to prepare the student to work, either by creating their own company or integrating into an existing show. The first two days of school began with our school directors sitting with all the students in the prep program and going over the school’s handbook, guidelines, curriculum and culture. They wanted to present the school from tip to tail immediately so there would be no surprises in what was expected of the students. One thing that stood out to me immediately is the size of the school, which is kept small on purpose: my section of the school, the preparatory program, has seven students, three of whom are in the second year. The school in total is about twenty. The administrators and teachers believe that keeping the school that small helps retain the quality of the instruction and the individuality of the student. In addition, the directors used a term I’ve come to love: a “round” curriculum. They believe that it is up to the student to make their time at school worthwhile, but created a program with ”no corners to hide in.” Conversely, this means there are no corners for the coaches to keep students stuck in – they want to help us develop into multi-faceted artists. At school, I feel like my teachers take an active interest in my development while also expecting me to put in hard work. It took some several weeks to adjust my brain to hearing and speaking French in all my classes, which are all taught in French, and though I still come across some expressions and sayings I don’t understand I’ve begun to feel comfortable. I often want to thank my former thirteen-year-old self for choosing French classes and school and sticking with it, as I can now manage living abroad. In our schedule almost equal time is split between general courses like acrobatics and movement foundation and our circus specialty. I believe this planning will shift later in the year, but for the time being this arrangement lets us retain our identities as developing artists while amassing a common base of knowledge with our classmates. As a prep program, my curriculum puts a heavy emphasis on tumbling and we spend about eight hours a week at a gymnastics facility near the school. 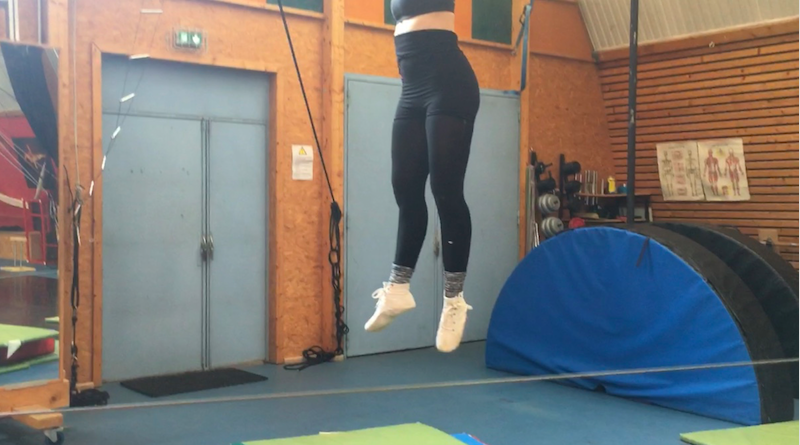 My coaches don’t expect all of us to leave Arc En Cirque as acrobatic generalists, but they do believe that having the strength, body, and spatial awareness developed by practicing tumbling and trampoline will aid us in our specific circus disciplines. One big surprise this fall was our physical preparation class. I’ve participated in “stages” (internship weeks) and auditions in other circus schools and was expecting a conditioning class of epic pain, struggle, and thousands of pull-ups. There was for sure struggle, a little pain, and a few pull-ups, but my teacher took a wildly different approach than I had experienced before. The physical preparation class was blended with what the school calls “rodage” which loosely translates to… calibration? “You know how when you take a new car out on the road and you can’t rev it up to high speeds right away? Well, you are all like new cars, and you need to drive carefully at first,” my school director explained to us in French. Our dance teacher lead this course, which turned out to be three hours of learning to use our bodies more efficiently. This ranged from learning to isolate tiny muscles in our abdomen, to crawling on the floor like a baby – “Use your SUPPORTS. You’re not using your hands to support you!” – to having a friend swing a poi in a circle and trying to move past them without touching the string. Our dance teacher reminded us time and time again that there is no point in having big muscles if we don’t know how to move; she promotes mastery of the body over meeting an arbitrary standard of strength. This theme of celebrating and promoting difference among the students extends to other parts of our curriculum. For the first month or two of school they allow us to try a few different circus specialties during the hours designated for “Discovery and Confirmation of Circus Specialty.” Even if the student was accepted to the school with a particular discipline, they are allowed to change it with the blessing of the teachers, or like me add a second focus. I auditioned with tight-wire, which continues to be the love of my life and primary discipline, but I added a secondary specialty of “portés acrobatique” or partner acrobatics with one of my roommates as the flyer. 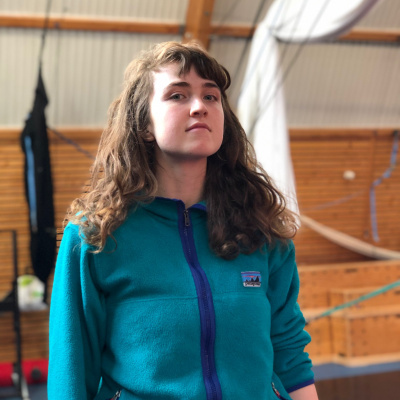 My school continues to surprise and please me with how open they are to coaching students in circus disciplines based on their talents and not their size. They see no problem, for example, of me developing the muscles of a hand-to-hand porter while still performing tight-wire. The school believes in the abilities of their students and thinks beyond size and gender-roles. I think this leaves room for students to surprise both their coaches and themselves. School has just started; we’re only a month and a half in. 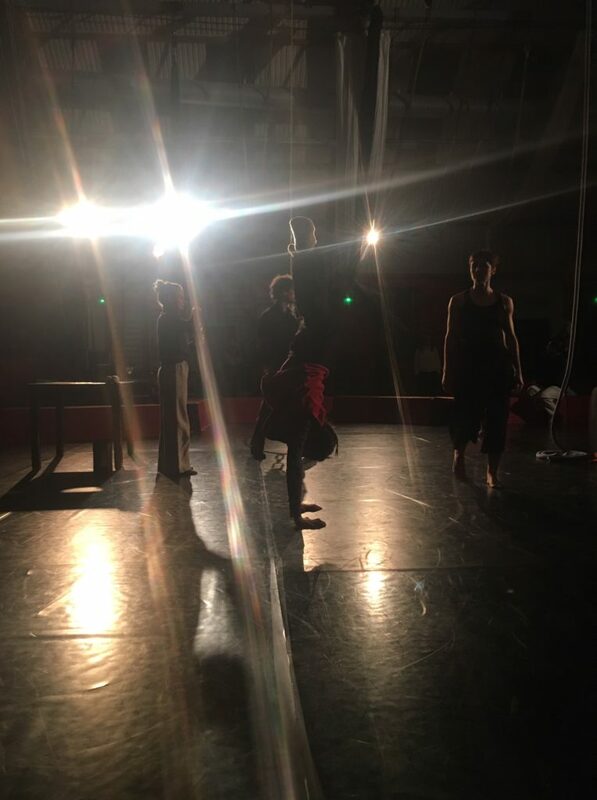 There is still so much I’m looking forward to: traveling to shadow working companies or other schools for a few weeks this winter, performing at the school with my classmates in January and in April, seeing circus shows in town – the list goes on. If adjusting to life in France wasn’t enough, I’m so excited to see how participating in a program like this will change my perspective on my craft and my own work. And I get to do it in the up-turned hull of a boat. I like this place.